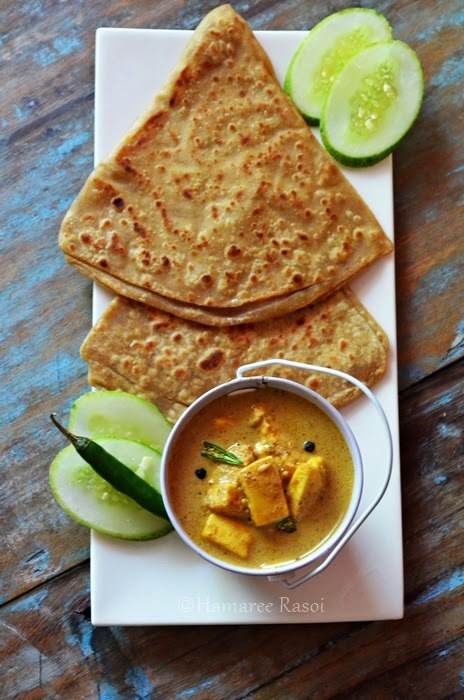 Coming from North India it was obvious for us to love Paneer Dishes like Methi Mutter Paneer, Paneer Bhurji, Shahi Paneer, Tandoori Paneer and we Bengalis are fond of Paneer Paturi. 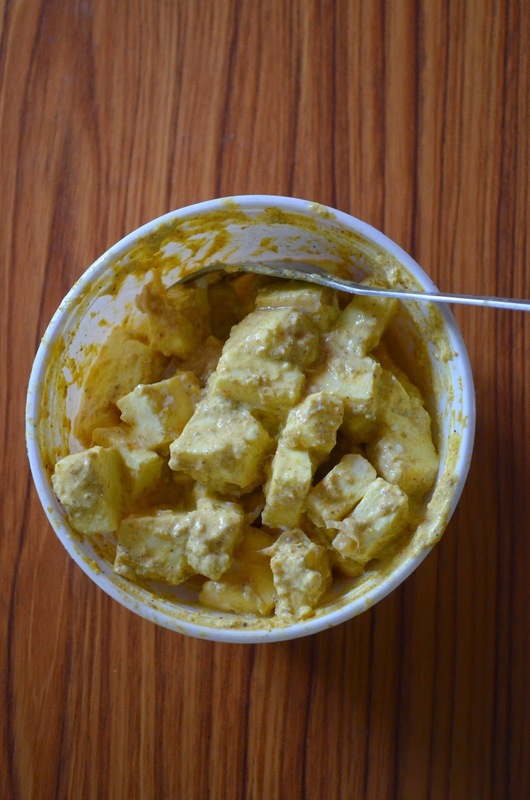 Start with the marination of cottage cheese, Mix everything together under "For the Marination" and keep aside for 2 hours. Heat oil in a non-stick pan. 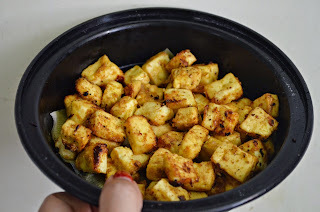 Fry the paneer pieces until turns to light pink (be careful as frying them too long will make paneer lose it's softness). **Save the left over of marinade to use later. 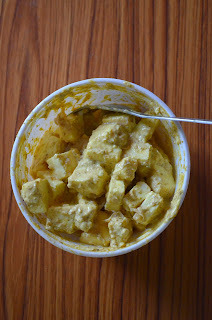 Dip the fired paneer pieces into 1/2 warm milk. We need to blanch the onions for this recipe so after you peel them, cut onions into four pieces. Bring a large pot of salted water to a boil, drop the onions in the hot water and continue to boil for another 4-5 minutes or till soft. 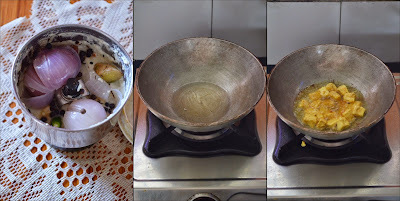 Remove the blanched onions immediately and place them in cold water. Once they cool completely, drain from cold water and keep aside. Now make a paste of blanched onion, ginger, green chilies, cashews with 15 peppercorns*. In the remaining oil add tej patta and cloves and stir it for a second. 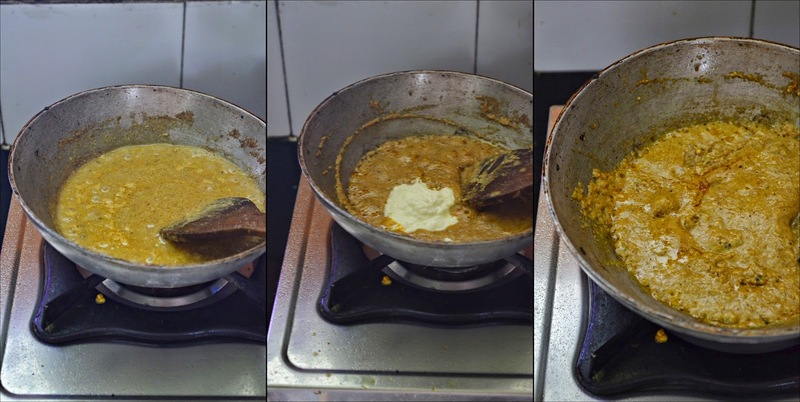 Add onion-cashew paste and fry till it's light pink or till you see oil leaving the sides. 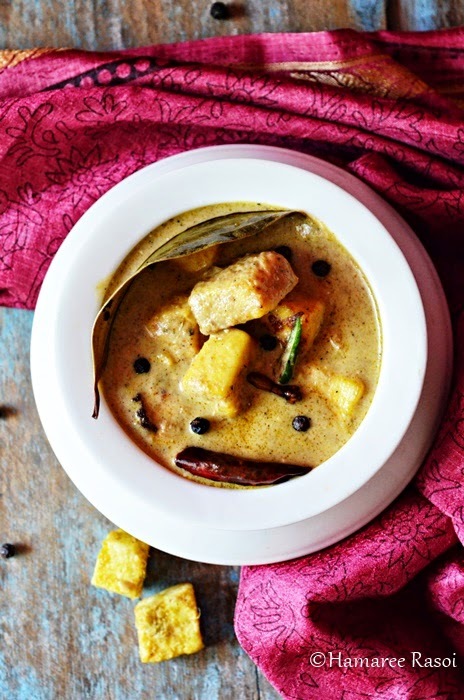 Take the marinade leftover **add little water and mix in salt, red chilly powder, coriander powder and pepper powder and stir well for 3-4 minutes. Later add whisked yogurt. Stir fast so that it doesn't curdle. Add one cup of water and salt to taste and bring it to boil. After first boil add fried paneer pieces and let it cook on medium flame for another 3-4 minutes. Mix in cream and garam masala. Adjust the seasoning and consistency of the gravy, cover the pan and cook it for another 5-6 minutes. 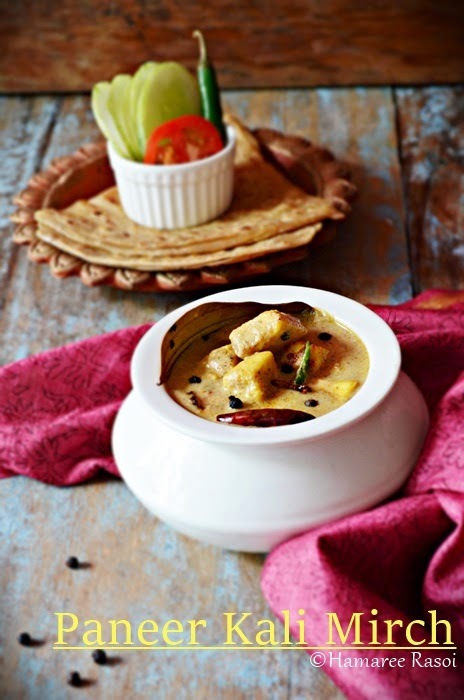 Remove from the heat and garnish with freshly grounded black peppercorns and serve hot with Peshawari Paratha or Kulcha.